I love having ice cubes to hand in the summer to add a little extra something to drinks but I always find the small ones melt away very quickly, especially in larger water pitchers! I was delighted to find this fabulous idea here of making larger ones in a muffin tin! They couldn’t be easier to do-just slice whatever fruit you want to use, I had lemons, a lime and I also used some cucumber. Slice them evenly and place in your tin. Cover them with water half way or just a bit over. 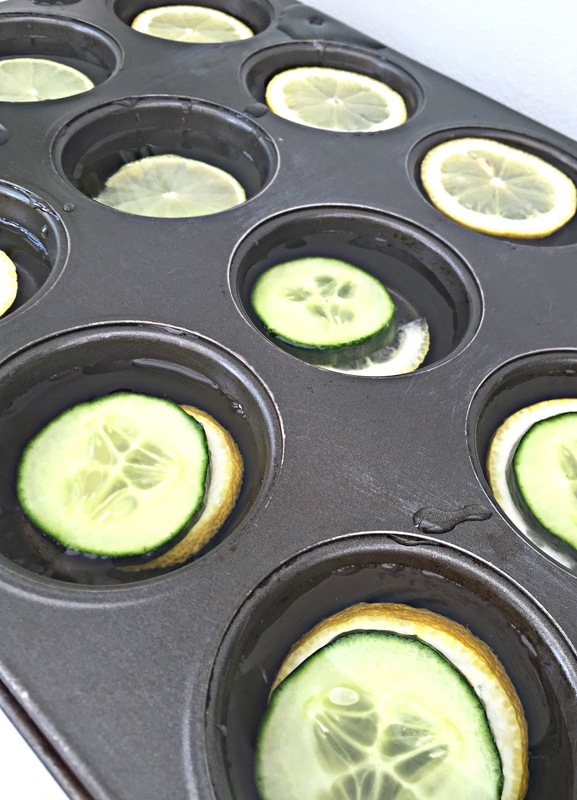 Put the muffin tin in the freezer on a level surface for about 4 hours or overnight if possible! These are so refreshing served in plain water, lemonade, fruity punch or any of your favourite summertime bevvies!